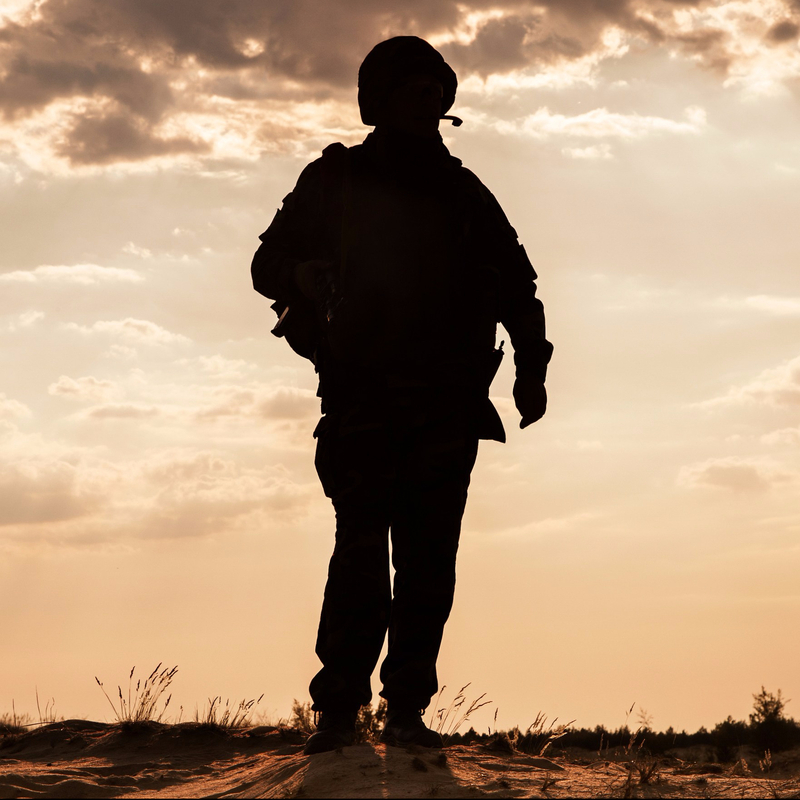 So, no longer fully comfortable in the Land-of-Those-Who-Know-and-Heal, our psychiatrist takes up the challenge of listening to War, traveling with the combat veteran to find out, in some small way, what War has been, is, and likely ever shall be. “Thank you. Yes, so how bad was it?” the kindly psychiatrist inquires. Our good psychiatrist turns to his right to see not Dr. Edward Tick now, but someone even more commanding in presence and tone: an Elder Warrior. So I have to ask you, Doctor: what is it? Are you going to walk with this veteran as s/he tells this story, or are you just going to watch him/her do so? “I beg your pardon?” the psychiatrist asks. Remember, like any good military man or woman, that veteran got into all this precisely because of a desire to protect, protect their families, their nations, the victims of aggressors, their fellow fighting brothers and sisters. Combat veterans will protect you, as well, if you ask them to, whether in word or in deed. The veteran has been clear to you, whether or not you fully heard it or understood it. Do you want to know of War, the vet has asked you, or do you really want to know of War? By your asking the veteran how bad it was, you are already telling the veteran’s story by assuming you know an ending that the veteran has yet to reveal to you. The veteran has not yet told you it was bad. You told the veteran. If at any point you take control of a veteran’s story, start making assumptions and acting on them before the veteran has reached that ending, s/he will assume that you’ve decided that you’ve gone far enough on this journey with him/her, and whether or not there might be more to say about War, the veteran will fall back in line and assent to your rank of professional authority, just as the veteran would have assented to a chain-of-command superior. All will once again appear as if it were in order. The veteran will act as if your ending is the one true ending. Whether or not it is. All will, once again, appear to be on the right track. For a few moments, the psychiatrist and Elder Warrior look at each other. And as you know, dear Doctor, more than one battle has been lost precisely because those with the rank set up situations in which those without the rank protect those in power from truths that the ranked ones might have been less-than-willing to hear, let alone believe. It’s a time-honored tradition, good sir. Always remember, this is supposed to be your story, Doctor, with you as the uncertain Protagonist. The veteran, however, will always follow your lead. The veteran will make it his or her story whenever the going might get too tough for you, when whatever the veteran has to tell you might be a little too challenging to hear. He or she will take that heavy rucksack of “protagonism” off your back, in other words, and carry it for you so that you can breathe more easily in the long, flowing robes of the Wise Mentor. “War is messy, sir. As is recovery from it. As a civilian, your job indeed is to pave a road back for this veteran to return to hearth and home. That construction project, however, does not automatically grant you the authority—or even the power—to guide that veteran back on that road. Elder Warriors do not mince words. They’ve met too many doctors. Remember, good doctor: helping to diminish fear is not the same as guiding home. Lest we forget, this story started at the point at which you had already done for this veteran what you could about fear. You’d already signed your prescription. Many of your colleagues had already done their therapies. You were the one, sir, who asked what more you might be able to do with the remaining time on your hands. Given the choice, the veteran might very well have said “Thank you for your time, Doc,” and walked out. After all, sometimes the old insult is indeed true: seen one shrink, seen ’em all. The psychiatrist shifts in place. Guiding is our job, sir, the job of those who have gone to War before and found a way to re-live our life stories in light of it. We appreciate all your work on moral injury. We’re living with it, after all. We’ll be glad to let you know when you’ve hit pay dirt. You’re a civilian, sir. On this road back, long after all the meds and therapies have done what they can do, your job is simply to accompany and to welcome. Ultimately, for this veteran, in order for him or her finally to come home, we, the Elder Warriors, get to wear the long, flowing Mentor robes. Even though this does appear to be a distinction that you and some of your colleagues sometimes have a challenge accepting as valid. Both veteran and Elder Warrior stand at the Threshold of the Journey and look at the psychiatrist. Apparently stories of War are harder to get going than what the good doctor might originally have imagined. The psychiatrist turns to the veteran.